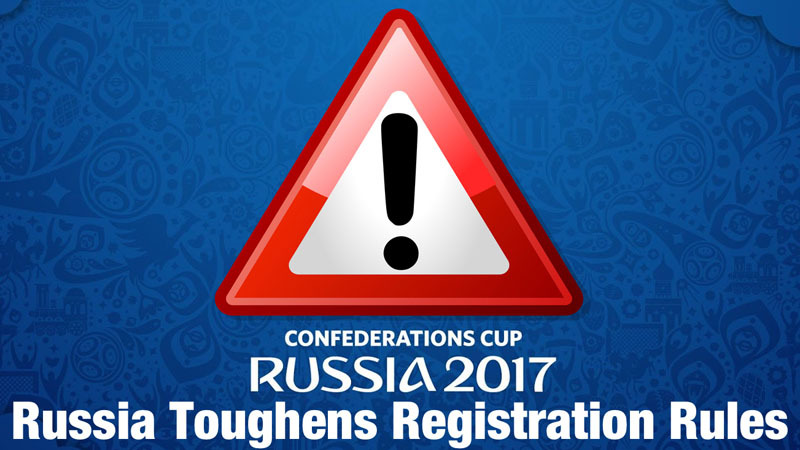 We would like to inform you of temporary changes to the registration procedure for every foreign citizens staying in Russia for the duration of the 2017 FIFA Confederations Cup (from June 1st to July 12th 2017). Between June 1st and July 12th, 2017, the time given to process your registration is shortened to 24 hours after your arrival. This means that if you plan to leave Russia or travel around the country (and get registered in another city, hotel, …) and return to Moscow during this period, you MUST bring your passport to CREF on the morning of your re-arrival in order to renew your registration within 24 hours after your arrival. A fine between 40 000 and 50 000 rubles can be charged by the Russian authorities to anyone not complying with this temporary measure in case of police check for instance. Should you have any questions do not hesitate to contact your manager at CREF.